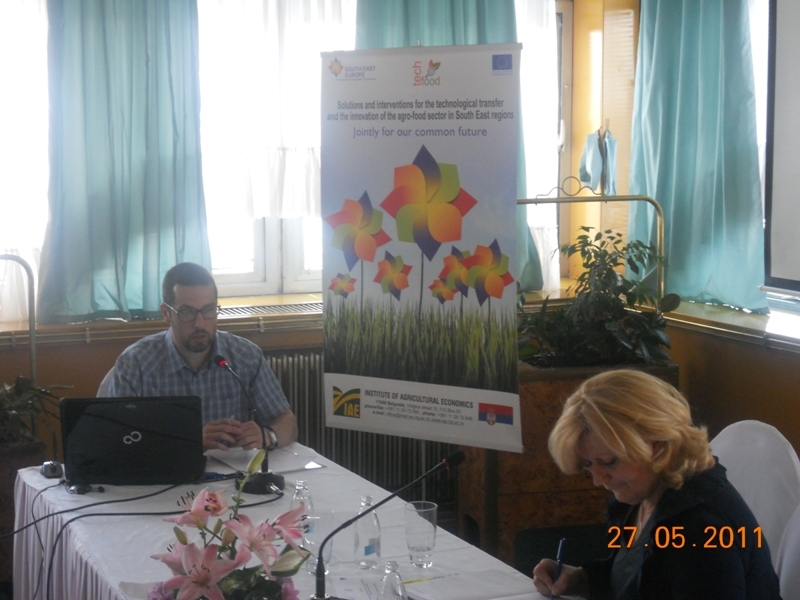 Research team of the Institute of agricultural economics Belgrade was organized, as part of their regular activities on the project Solutions and interventions for the technological transfer and the innovation of the agro-food sector in South East regions - TECH.FOOD, a Transnational Focus Group TFG, under the theme title Food safety in meat industry. 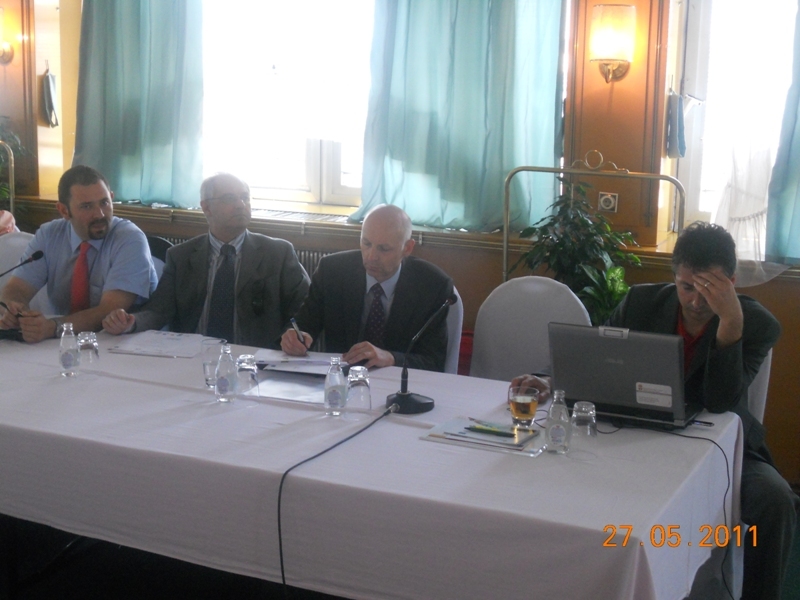 Event was held at the 27th May, 2011, in the Hotel Palace in Belgrade, Serbia. 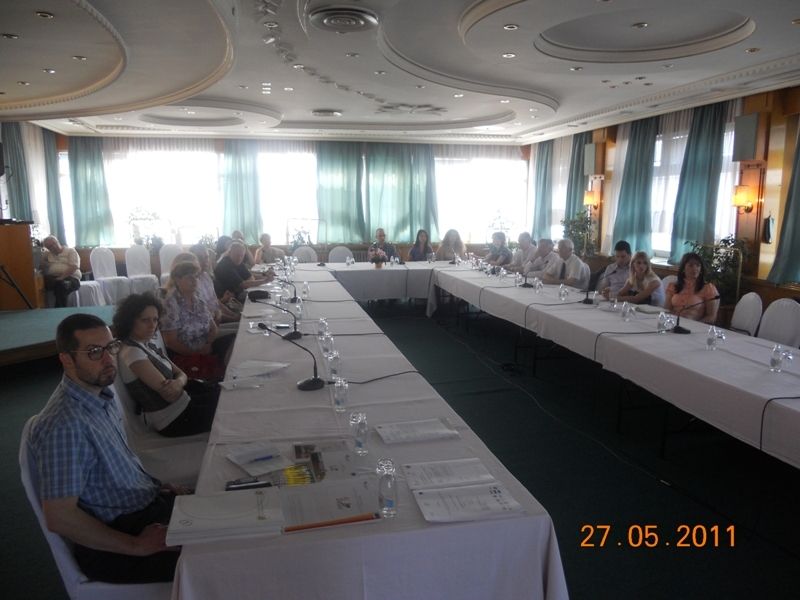 Besides the personnel from the IAE Belgrade, during the mentioned one-day event, several foreign and domestic participants from Project consortium and meat industry took part in TFG sessions. All participants from Austria, Italy, Hungary and Serbia have great opportunity for networking and mutual discussion about the problems and adequate solutions of food safety in meat industry. TFG event started with introduction speech of TECH.FOOD project manager and director of IAE Belgrade Prof. dr Drago Cvijanovic. After that representative of the company Topola A.D., Bačka Topola Serbia, Mr Markus Karolj gave lectures under the title Food safety in meat industry – experiences of Serbian enterprises. Also, Mrs Nada Kosanovic, Ph.D. made quick overview of general worldwide tendencies of standardization within meat industry. 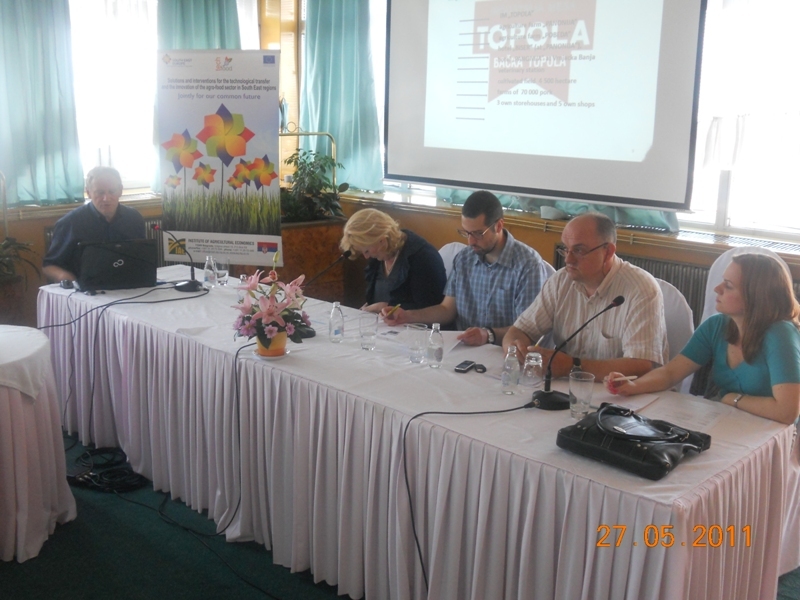 Then, some of present participants from the Agroziv AD, Topola AD, Abattoir Kosanovic, Neoplanta AD, Kapuvari Hus and AGES had brief presentation of their companies, describing in few lines current status of their working capacities, assortment and implemented standards. 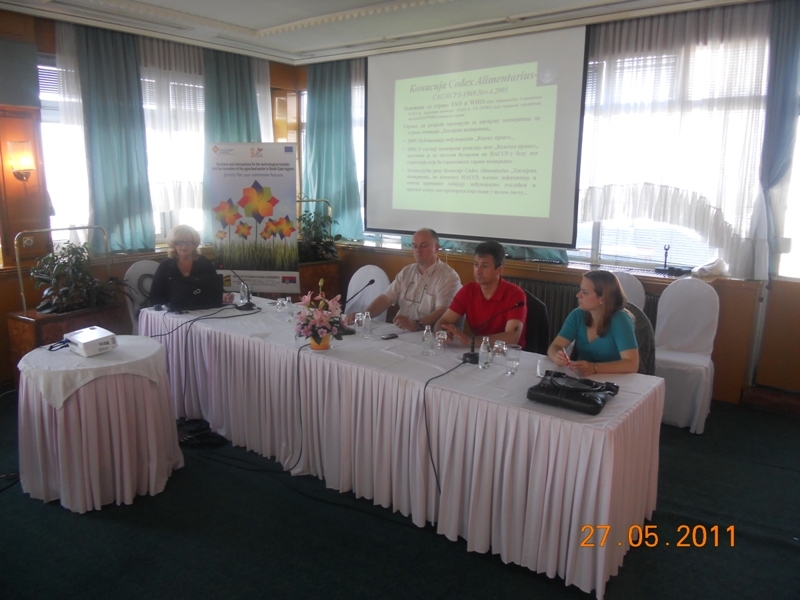 At the end of the meeting, after a round table discussion, some general conclusions were adopted.